Crestwood Center is a Mental Health Rehabilitation Center located in Angwin, amidst the beautiful hills of the Napa Valley. The facility provides a versatile array of classes for clients to participate in during their recovery program and encourages active participation in treatment planning from the moment of admission. The facility also exemplifies Crestwood’s commitment to providing mental health clients with the kind of care that puts them on the road to recovery. 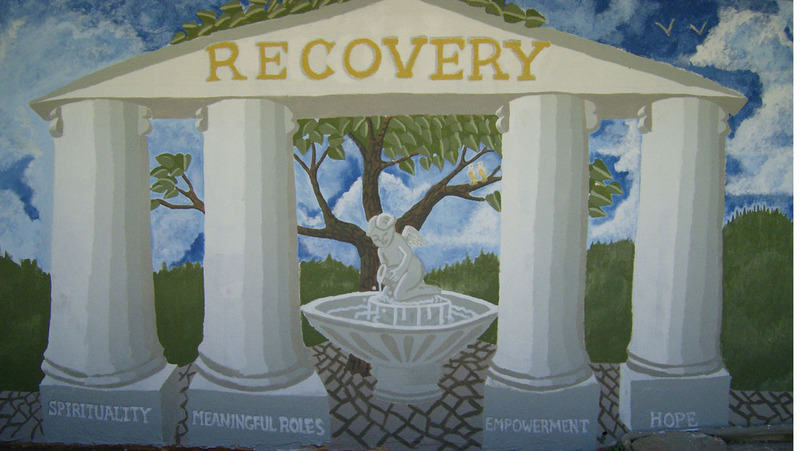 All clients at this center, regardless of their treatment focus or their specific program details, are eligible to participate in the Wellness Recovery Action Plan (WRAP) program, a self-help recovery system designed to decrease symptoms, increase personal responsibility and improve their quality of life. Crestwood Center at Napa Valley takes a trauma-informed approach to care. Understanding the trauma a person has experienced and the impact it has on their lives and behavior, and understanding the vulnerabilities or triggers are essential to helping a client reach their recovery potential. The understanding of a client’s experiences strengthens and helps to build a rapport with them. It also builds a trust and understanding which enables us to intervene successfully and help us to develop approaches that do not exacerbate or re-traumatize them. This trauma informed approach facilitates the clients healing and recovery process as well as empowers them. Crestwood Center at Napa Valley offers Dialectical Behavior Therapy (DBT). DBT is a form of therapy developed by Marsha Linehan Ph.D. at the University of Washington that is an evidence-based practice used to treat clients with Borderline Personality Disorder. DBT assists clients in learning skills to help them to regulate their emotional responses to situations that occur in their lives that they may have previously responded to in a self-destructive or aggressive manner. DBT consists of individual therapy sessions that are held weekly with an individual treatment provider to review events from the past week, and diary cards that a client keeps daily and follows the treatment hierarchy. Also weekly 2-5 hour skills training classes are held that focus on emotional regulation skills, mindfulness skills, interpersonal effectiveness skills, and distress tolerance skills. In this facility we utilize the DBT program to work with some of our most challenging clients that may have issues with aggressive behavior, self-injurious behaviors, drug or alcohol abuse and other behaviors. Classes at Crestwood Center include core recovery programs, and music and art therapy. Additionally, there is a certified drug and alcohol counselor on-site. We also have interns from Yuba College working at the facility gaining experience for their dual recovery certificates. We provide a wide variety of Dual Recovery treatment programs. As part of their treatment, residents at the Angwin facility participate in group outings, visiting some of the natural and cultural treasures unique to the region. The Center has a very active pre-vocational program where clients can learn skills to prepare them for work in the community. The program also gives clients the opportunity to work in various positions at the facility for a wage through the Dreamcatchers Empowerment Network. Crestwood Center at Napa Valley is a training site for area students pursuing various careers in the mental health field. We sponsor interns from a local college seeking certification in chemical dependency and we offer opportunities to psychiatric technicians and psychology majors from area colleges. Mental Health Rehabilitation Centers (MHRCs) provide psychosocial rehabilitation programs in secure, residential settings with a focus on brief lengths of stay. Crestwood Center at Napa Valley is accredited by the Commission on Accreditation of Rehabilitation Facilities (CARF), which provides international standards for rehabilitation organizations to follow that promotes the quality, value and optimal outcomes of services. Crestwood believes this accreditation demonstrates our unwavering commitment to achieving and maintaining the highest level of care and rehabilitation. Download the latest newsletter from this location here.